Serious climate change is now underway according to the Intergovernmental Panel on Climate Change (IPCC). It’s already affecting the world we live in and if global temperatures continue to rise, we will face devastating consequences. We’ve been hearing this message from top scientists for some time now. Nevertheless as climate change became undeniable, attention was drawn away from this most pressing problem by another global crisis, the economic one, started by the financial crash of 2008. Now, as global warming continues to rise and the global economy continues to falter, the world is facing a dual crisis never seen before. This was one of the key messages to emerge from the Global Risks Report 2013, published by the World Economic Forum. (1) The dual crisis of climate change and economic recession are deeply interconnected. The economic recession, rise in inequality and climate change are all deeply connected. This interconnection is increasingly recognised by scientists, economists, environmentalists and the trade union movement. The TUC believes that dealing effectively with the problem of climate change has the potential to create jobs and a better, fairer society. 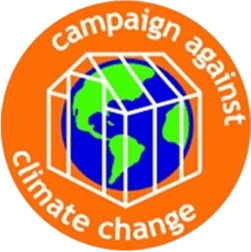 The ‘Campaign against Climate Change’ involving trade unions and the National Union of Students is calling for the creation of one million climate jobs through investment in renewable energy, insulation schemes, public transport and energy reduction. (8) All of this would significantly reduce UK emissions of greenhouse gases. Module 1: Climate Change Explained: will look at the science of climate change, its causes and effects. Module 2: The International Response: will look at the various efforts made by governments and policy makers to come to international agreements on tackling climate change. 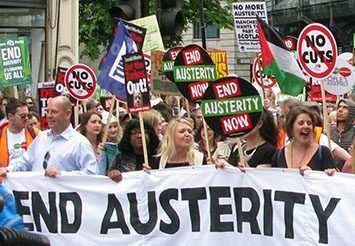 Module 3: The Trade Union Response: will look at how trade unions are organising and campaigning around climate change and promoting ideas of climate justice. Module 4: Getting Involved: will look at ways we can all take action to tackle climate change at work and in our communities. At the end of each section, there are references and links to additional materials if you want to go further. As you work your way through the materials, there are also quizzes you can choose to do to check your understanding.